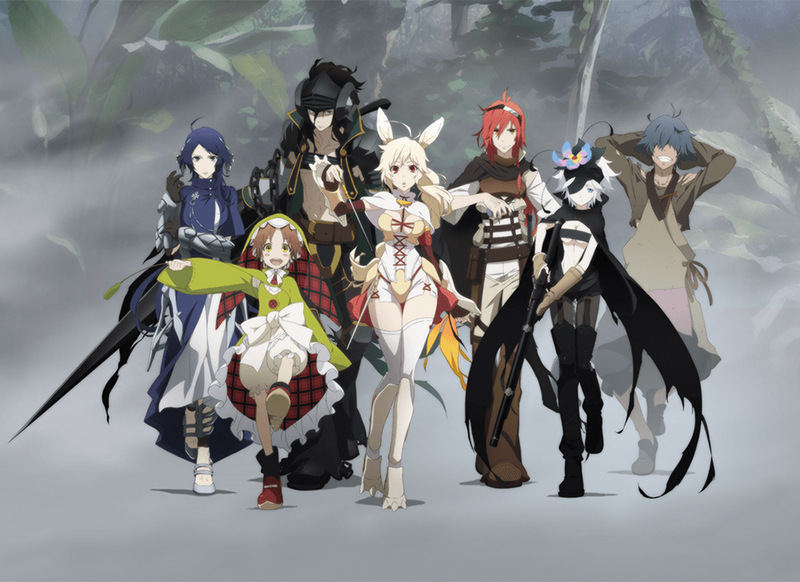 Rokka no Yuusha, or Rokka: Braves of the Six Flowers follows the story of Adlet Mayer when the demon Majin awakes from the depths of darkness. The deity of fate then selects six heroes giving them the power to save world from the evil. While Adlet thinks he’s the strongest man in the world, 7 potential heroes gather with the same marking set by the deity, however the seventh is now known as the impostor. So regarding the whole concept and everything, I loved how the series began, it gathered all the members and thus went on ahead to defeat the demon. 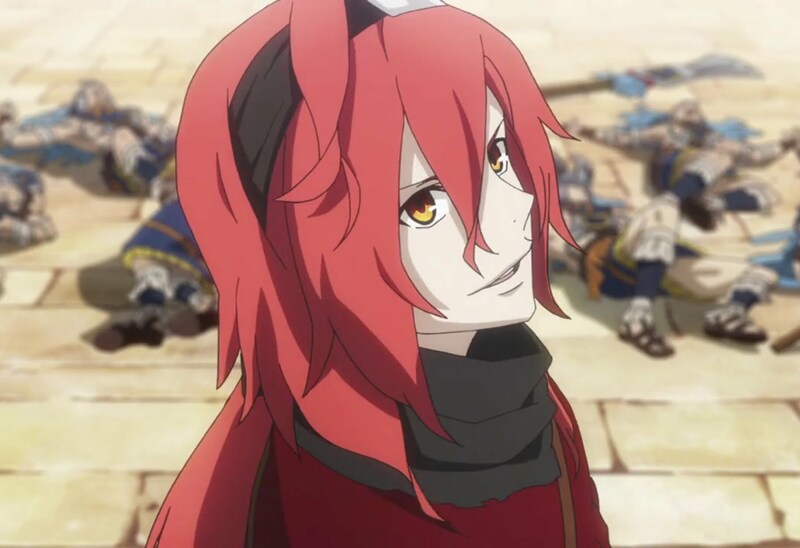 I was surprised but how good the series was, and when there were 7 instead of the normal 6 within “Braves”, everyone quickly thought it was Adlet, who then had to prove himself that he wasn’t the one who trapped them and set the traps. I honestly would have loved to learn more about the demon and how it all interacts and all the nitty-gritty behind the whole concept. However, stepping back and looking at what I initially expected from the show wasn’t really satisfied. Even if the show slowed down quite a bit and introduced a mystery, wasn’t that bad at all. The anime itself did a brilliant job of building up the suspense in it between the main characters, I personally knew or had some sort of idea who the Seventh was, but throughout the show, I also had the idea that this time there would be Seven Braves and none are fakes. Well, I don’t really want to spoil it for anyone but the show does a decent job of showing everyone’s point of view where it somewhat hides who it is. The art, well the reason why I love most anime’s is usually the art. I am attracted by great art, and if it’s good with good animation and artwork then I love it. The anime production was done by Studio Passione, who did a fantastic job of creating a brilliant atmosphere. The anime is definitely good looking, and the characters are definitely designed really well, even some scenes which involves CGI looks a little weird but is done quite well, in my opinion at least. Further to this, a lot of the art at the start of the show shines really well, it’s done fantastically, but begins to drop halfway through, but it is something that most people I think won’t notice. Along with this, the sound to fit relatively well with the show and suspense which is built up in most of the episodes. But anyways, it’s something that others may find to be different in comparison. So, what is your opinion on the show? Have you been watching it, and if you have, what is your honest opinion on this show? Did you like the fact that in ended in the way it did? Nevertheless, be sure to comment down below and share the page with others. I didn`t watch, ‘Six Flowers’. Due, to just the way characters, looked. I felt they were to gimmicky looking. Though, many seem to note, that it`s much greater than, so. Including you Sunite. Ah, CGI. I Hate that, haha. It`s just a minor problem. Geeze, is the ending that bad? Sunite. Sounds, a bit tricky too think about. Cheers, for your write up, Sunite. A Good look, at a series. I skipped out on. Provided, me with some insight. Well you could look at it that way too, the characters I guess have their own personality and I see how they could look gimmicky. CGI is getting a lot of attention in anime, I’ve seen a lot of anime’s use it to lower the load on the animators. I thought the whole series was really good except for the ending. It’s like putting the viewers right back at the beginning after all 12 episodes, because there is another 7th. I’m sure they are , much more than what I thought. Cgi, is like in every anime and still looks so ridiculous. What a pain. With the ending. It’s like we’re running in circle. Thanks for the heads up, Sunite. I have to say that the CGI sounds dicey to me as well. Still, that was some ending as it really crippled the score for you. It reminds me of Madoka Rebellion which caused a reviewer who went by the name of Destroyer to shoot it down from a 9 all the way to a 2. He simply couldn’t stand the ending so I suppose that this is similar to that. Looks like a decent show and the animation is definitely top notch. The character designs look decent if handled right. I hadn’t heard of this show before, but good to see you in here with another anime review. These are always a blast to check out!